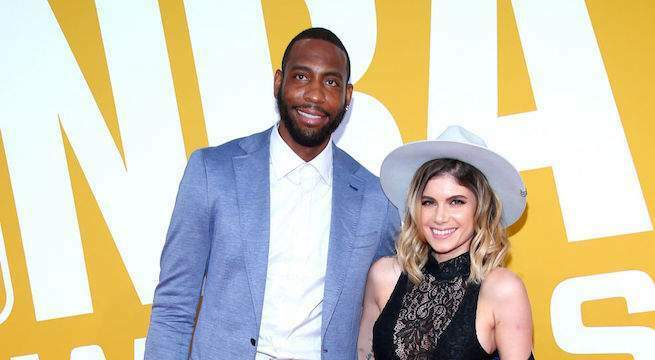 Former NBA player Rasual Butler and his wife Leah LaBelle, a singer who appeared on American Idol, were both killed in a car crash in Studio City, California early Wednesday morning, TMZ reports. Butler was 38, LaBelle 31. Drafted by the Miami Heat in 2002, Butler lost control of his Range Rover around 2 a.m., struck a parking meter and slammed into a wall. The car also reportedly flipped. Officers reportedly believe the car was speeding before Butler lost control. Butler had a long career in the NBA, playing for the Hornets, Clippers, Bulls, Raptors, Pacers, Wizards and Spurs, up until 2016. He most recently played in Ice Cube's BIG3 league. Before the NBA, he played for La Salle University in Philadelphia. He is in the university's Hall of Athletes. LaBelle was an R&B singer who was signed to Epic Records. She placed 12th on season 3 of American Idol in 2004. Butler reportedly was close friends with Lamar Odom and appeared on several episodes of his reality show with Khloé Kardashian, Khloe and Lamar. At the time, he was dating Malika Haqq, Kardashian's friend and former assistant. After Butler was dropped by the Toronto Raptors in 2012, he stuck around and worked hard for a second act in the NBA, despite coaches, family and friends telling him to seek employment in a European league. According to NBA.com, Butler referred to his stretch of unemployment as “March to February.” He spent four hours a day, six days a week in grueling workouts to stay in game shape. When he never got a call to come back and play, Butler took his fate into his own hands. He went through the NBA Developmental League, where teammates called him “Grandpop,” then Summer League, where he was a decade older than every other player. Then, in 2013, he signed with the Indiana Pacers. In 2014, with the Washington Wizards. In 2015, Butler showed up at the Spurs’ practice facility for open gym. With no contract, with nothing guaranteed, Butler went to the gym hoping to earn a roster spot. After 13 seasons of proving he belongs in the NBA, Butler chose to do it all over again. Butler was eventually dropped from the Spurs in 2016. In 2017 he signed with the Minnesota Timberwolves but was waived after five preseason games.